Spinal discs are soft cushions that are situated between each vertebra. They consist of a tough outer cartilage with a soft, squishy center. Just like the shock absorbers in your car, your discs act as shock absorbers for your spine. When too much pressure is applied to the disc, the soft center can be squeezed outward, leading to what is known as bulging discs. Here at Denver Physical Medicine, we see countless patients who are suffering from back pain and other symptoms caused by bulging discs. We are proud to offer safe and effective services or treatments that allow many patients to avoid surgical procedures and often addictive prescription painkillers. Herniated discs often go unnoticed until they cause pressure on the nerves in the spine. When a bulging disc pinches a nerve, it can lead to a number of painful conditions. Many patients experience pain that can be described as a shooting, electrical sensation that extends down the arms and legs. Patients may also experience tingling or numbness in the hands and feet. At Denver Physical Medicine, we treat bulging discs in a number of ways. One of the most successful treatment options is spinal decompression. During spinal decompression therapy, the specific disc bulge areas are slowly and gently lengthened and decompressed. This results in negative pressure within the discs. This helps draw extruded disc material back into the disc and aids in creating an ideal environment for natural healing. In addition to spinal decompression, we may recommend additional physical therapy, lifestyle changes, and other treatments. To ensure the best results, it is crucial to carefully follow our instructions and recommendations. 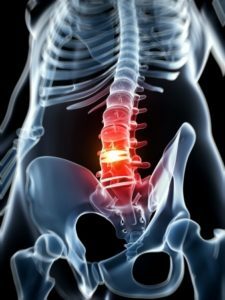 If you’re suffering from bulging discs in Denver, let a top Denver physical therapist help. To schedule a free consultation or learn more about physical therapy for bulging discs, call Denver Physical Medicine today at 303-757-7280.